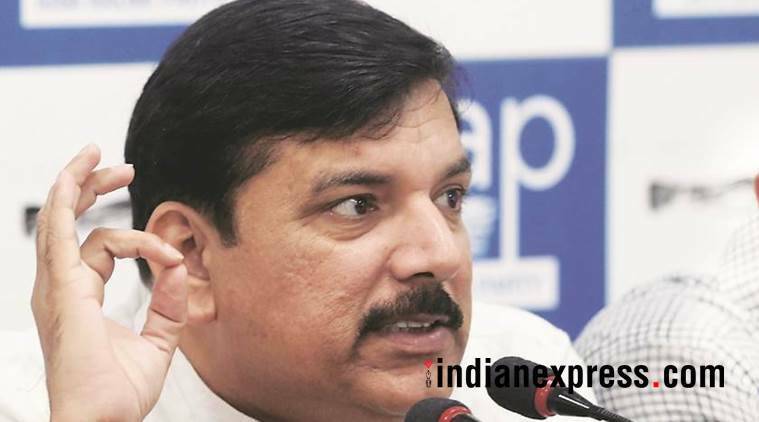 Alleging that Narendra Modi government agreed to pay an "astronomical price" for procuring the fighter jets from France, AAP MP Sanjay Singh termed the transaction as the "deal of scams". The Aam Aadmi Party (AAP) on Tuesday said the Rafale fighter deal will prove the “last nail in the coffin” of the Bharatiya Janata Party (BJP)-led NDA government. Alleging that Narendra Modi government agreed to pay an “astronomical price” for procuring the fighter jets from France, AAP MP Sanjay Singh termed the transaction as the “deal of scams”. Under fire over the quantum of cost in procurement of jets, the BJP-led NDA government refused to disclose details of the deal citing a secrecy clause in the agreement. “It is a well-known fact that in 2012 the then UPA government was all set to seal the deal at Rs 500 crore per jet, including technology transfer which would have ensured that the technology could be recreated in the state-run HAL,” Singh said. However, Modi government sealed the deal to buy 36 jets at an astronomical price of Rs 59,000 crore, which values each jet at Rs 1640 crore, he claimed. “I fail to understand the kind of technology upgradation which increased the deal valuation by over 300 per cent,” the AAP leader said. He alleged that a contract worth Rs 22,000 crore to manufacture parts of the jets has been awarded to Anil Ambani’s Reliance Defence, which he said lacked experience of even one year in the respective field. “This all proves beyond doubt that this deal is the deal of scams and this is going to be the last nail in the coffin of the government,” Singh said while addressing a press conference. To a query, Singh reiterated his demand for transparent investigation into the “mysterious” death of Justice B H Loya, who was hearing the Sohrabuddin Sheikh alleged fake encounter case, in 2014. “If judges are not safe in the country then how can the common man be safe? It is for these reasons that four Supreme Court judges were forced to come out and say that our democracy is in danger,” he alleged. Singh alleged that Modi government had failed on all fronts with its “anti-aam aadmi” policies and has only catered to select business tycoons. Another AAP leader Ashutosh Gupta, highlighted the achievements of Arvind Kejriwal government in Delhi. Responding to a query on why a television ad to be aired for the Kejriwal government’s third anniversary tomorrow is stuck, Singh blamed the BJP government. “Ever since the AAP government took reins of Delhi by crushing the BJP, the government has been hell bent against us and has ordered officers concerned not to endorse Delhi government’s policies,” he claimed.